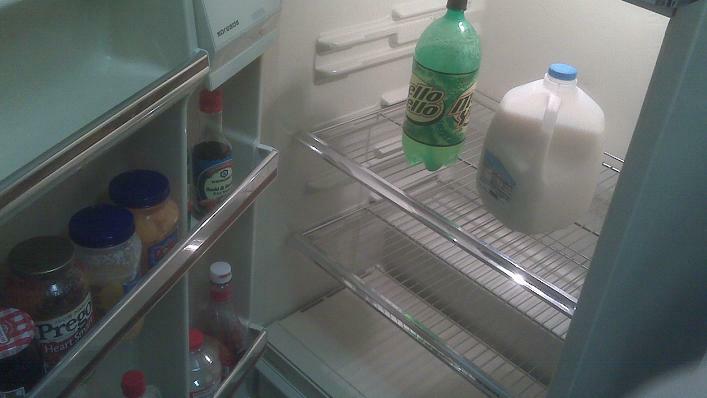 If you recall the picture of the fridge in "Fully-stocked Fridge", you would remember that it was quite full. Now, in my apartment back in the States, I have a fullsize fridge, all to myself. However, you will see that at the moment, I don't have much food at all! Thankfully my cabinets have some food, otherwise I would be hungry all the time.